Richard Olsen has joined MBS as an Graduate Environmental Scientist. Richard has a BA in Sustainable Development and recently completed a masters of Environmental Science, specialising in GIS and Environmental Management. 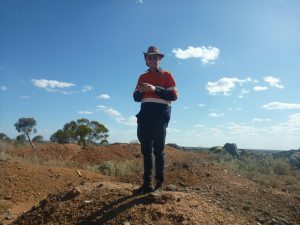 He has just completed a contract for DWER via Murdoch University where he has been establishing a spatial water asset database for the Wheatbelt region, undertaking stakeholder consultation, field data collection and preparation of technical reports. He has strong interest in use of emerging technologies for environmental management. Whilst studying he also was employed as a Business Development Manager for CLAW Environmental. Welcome to the team.